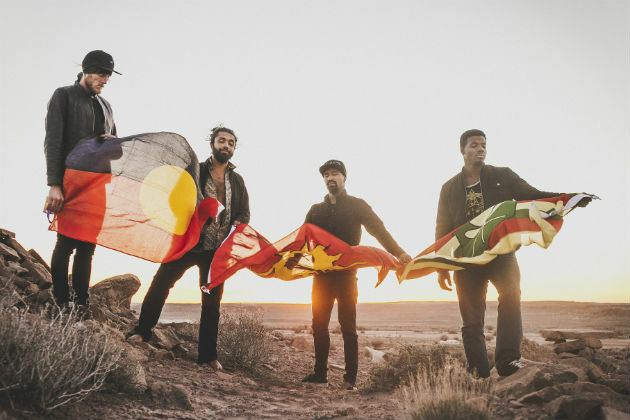 One of the most anticipated Huckleberry Jam acts, Nahko and Medicine for the People bring all the good vibes you could ever ask for. We were looking for a video to post to share what Nahko is all about and we got sucked into this full concert video of the band at Ziggy’s Down by the Sea in North Carolina. We were going to write something to try to describe the guys, but this video did it better than we ever could. Their sound is so enticing and totally captures your attention. If you want a taste of what the guys are like, their sound, their passion, and how they describe themselves definitely check out the video below. You can’t walk away from listening to these guys feeling anything but happy. Nacho & Medicine for the People will be bringing good vibes and harmony to the Huckleberry Jam Saturday afternoon! Read more about Nahko & Medicine for the People here and grab your Huckleberry Jam tickets here.